Barring any last-minute lawsuits today, Minnesota takes over management of wolves in the state. 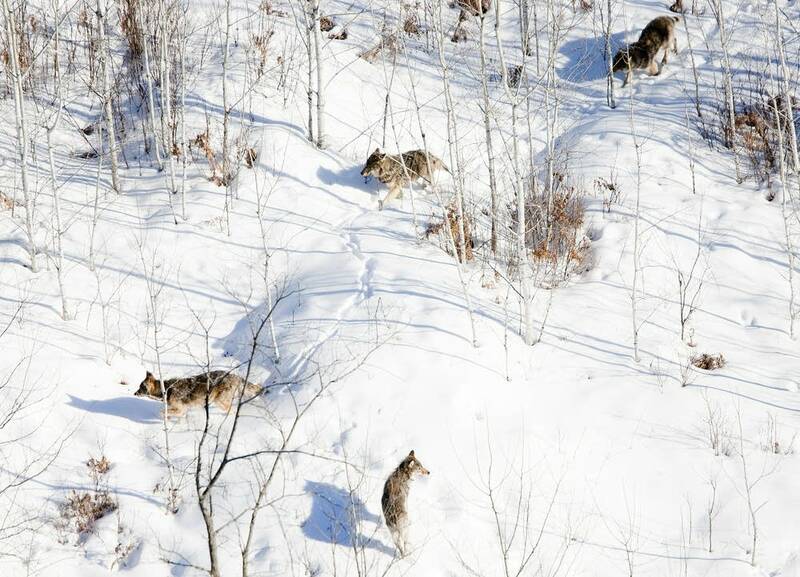 Officials with the Minnesota Department of Natural Resources say they are ready to oversee the wolf population and will consider a "conservative" hunting season, perhaps by next fall. That has caught the attention of animal-rights and conservation groups, whose members will closely watch whether state officials protect wolves. The restored wolf population is hailed as a major accomplishment of the Endangered Species Act, which has protected them since 1974. Once persecuted to near-extinction in the lower 48 states, wolves now thrive in northern Minnesota, Wisconsin, and Michigan. Last summer, the Obama administration announced that it would remove gray wolves in the western Great Lakes regions from the federal endangered species list. 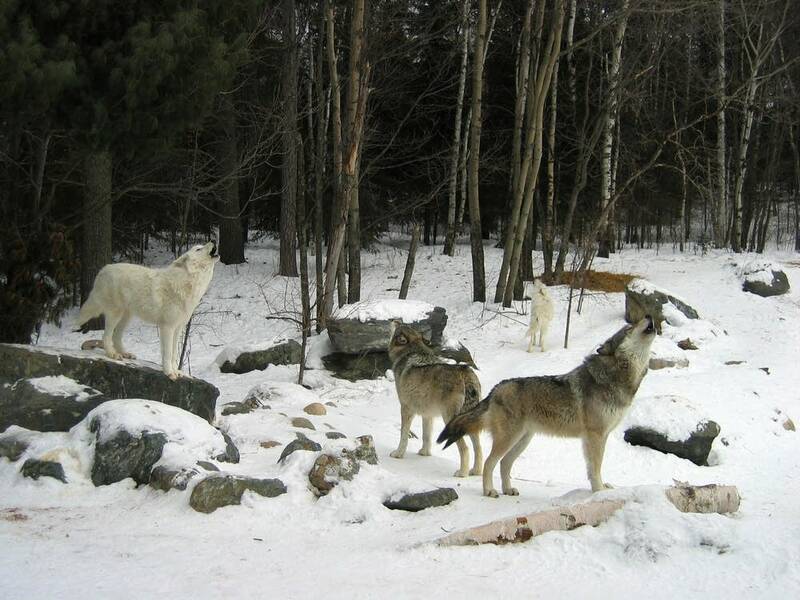 Minnesota, Wisconsin and Michigan officials have been preparing to take over management of the gray wolves. Minnesota's population of about 3,000 gray wolves is roughly twice the number required by the federal government's wolf recovery plan. With a stable population for the last 10 years, wolves now live closer to roads and people than biologists previously expected. Beginning today, the state must not only protect the wolf, it must manage the wolf. For the DNR, management includes a wolf hunting and trapping season. 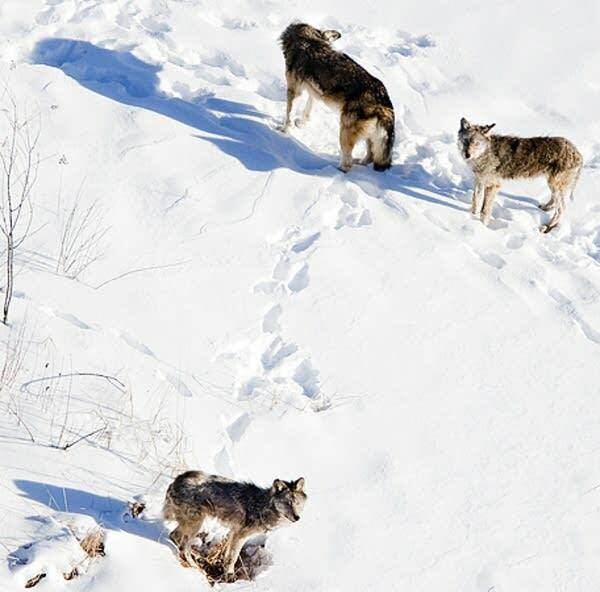 The agency proposes a quota of 400 wolves for the first season, to run from late November through January. If all goes smoothly, the first season could proceed late this year. The DNR is treating wolves as a high-value fur species by setting the season when pelts are at their prime, limiting the take through a lottery, and requiring hunters and trappers to register their animals. DNR large carnivore specialist Dan Stark said the agency is moving cautiously because there's still a lot to learn about wolves. "We don't want be too aggressive up front and then have to scale back, we'd rather start out low and build up to a number we think is more sustainable," Stark said. Some wolf experts and proponents of less restrictive hunting question whether hunters and trappers will be able to reduce the population. Wolves are smart, and adaptable. "They are quickly going to learn that the game is on, and they are going to be scarce as hen's teeth, as my grandmother used to say," said state Rep. David Dill, DFL-Crane Lake. Dill has heard from hunters and trappers about how they think the season should be designed. He has introduced a bill that would require state officials to schedule wolf hunting at the same time as deer hunting season. DNR officials oppose parallel seasons. They say that with as many as 400,000 deer hunters in the field, the quota of dead wolves could be reached quickly, leaving none for trappers. Wolf management has long included getting rid of wolves that prey on livestock and pets. DNR personnel will take on that responsibility, but there's a problem. Agency officials had planned to work with federal wolf trappers who worked for the Department of Agriculture. But the agency has lost its funding and laid off its employees. Joe Martin, executive director of the Minnesota State Cattlemen's Association, said that when cows begin to have their calves, ranchers in northern Minnesota could be on their own. "We're going to have additional wolf kills," Marin said. "And those individuals have been used to calling the Grand Rapids office to have trappers, they'll get a voice mail basically saying 'Sorry, there's no one here.' "
The Department of Natural Resources had planned to share the cost with the federal agency but doesn't have enough money to run a trapping program on its own. The agency plans to train and certify private trappers. But now that the wolf is removed from federal protection, landowners have more authority to kill wolves. In the southern two-thirds of the state, a person may shoot a wolf at any time to protect livestock, domestic animals or pets on land they own, lease, or manage. 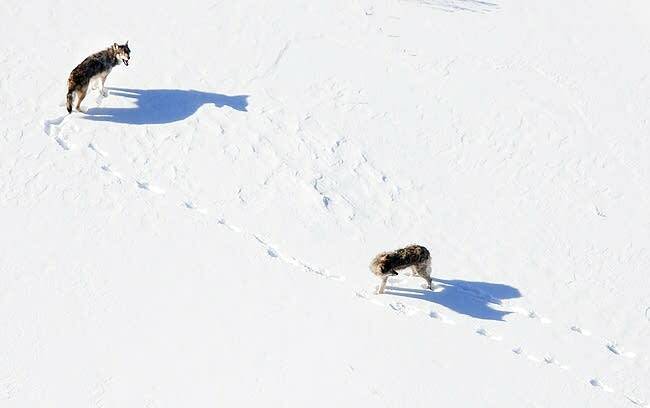 In the northern third, the wolf must pose an immediate threat. State rules don't apply in several parts of northern Minnesota. In Voyageurs National Park, no hunting is allowed. No one expects much hunting or trapping in the interior of the Boundary Waters Canoe Area. On Indian reservations, bands can set up their own rules. The Red Lake Band of Ojibwe has declared its 850,000-acre closed reservation a sanctuary, with no wolf hunting or trapping allowed.